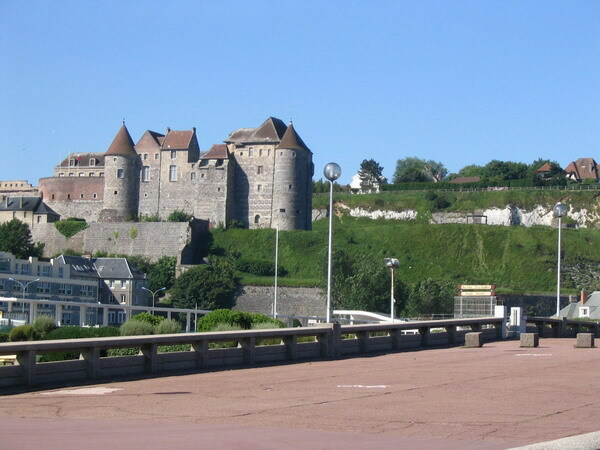 The chateau at Dieppe. This was the site of the Dieppe Raid, August 19, 1942 (almost two years before D-Day) in which ~6,000 Canadian soldiers landed on the beach here. It was a 'dry run' testing tactics, equipment etc. and didn't turn out well. There is a memorial on the beach and a Canadian museum in town. The countryside south of town is a high grassy plain, very windy. In fact. there's a town about 20 km south of Dieppe called "Les Grandes Ventes". Always a headwind, needless to say.